A recent article in the Business Journal suggests they are interested in San Antonio. Could MLS see a third team in Texas as part of its goal to have 24 teams by the end of the decade? San Antonio’s mayor and NASL franchise hope that’s the case as they met with MLS commissioner Don Garber on Tuesday. Mayor Julian Castro and San Antonio Scorpions owner Gordon Hartman were set to meet with Garber ahead of Wednesday’s match between Mexico and South Korea, after Garber had to cancel a New York meeting with Castro in late 2013. Surely the club would love to be in the news for something much bigger than trading a player for team travel accommodations. The report from the San Antonio Express News notes that the league is braced for twin interest from the NASL’s Minnesota United in addition to one from the NFL’s Minnesota Vikings, as well as Atlanta and, of course, David Beckham in Miami. The former Manchester United, Real Madrid and LA Galaxy star has been working to drum up support for a soccer specific stadium in South Florida, enthusiastically aided by Miami-Dade mayor Carlos Gimenez and the pair will meet next Tuesday or Wednesday to go over their ideas. The MLS brass is pitting San Antonio against Austin for a franchise. The MLS has said they want new venues to be in or near downtowns. If this is the case, San Antonio and Austin are in a dead heat. Neither city has anything in development for a downtown, soccer-specific stadium seating approximately 20,000. If not, San Antonio is the clear winner. They already has an expandable, soccer-specific stadium (Toyota Field) in northeast SA. It already has plans to be able to expand to 18,500 seats (including 32 luxury/VIP suites). Apparently, someone's a wee bit too gullible. It's a prank/joke story. Last edited by sirkingwilliam; Mar 27, 2014 at 7:13 AM. Gullible? To what are you referring? If you are referring to yesterday's Austin Chronicle story...note: my comments were posted on March 9, long before that story was written!!! My comments stemmed from a Business Journal op-ed. My EDIT was note directed at you but a link to a story. Not really following you here. Yah, the article is way out there and loaded with questionable facts and dates. In fact, it has changed since yesterday. However it is about Austin and Austin currently defies logic. It's an April fools joke. Key advice: Don't believe everything you read online. I appreciate the tip. I'll be sure to start looking for the jokes early next year. It's been awhile since I lived in SA, can you share with me where the stadium site is a little better.? It's located on the northeast side. It was built in an old abandonded quarry. Basically, where the red star is. Wow, what a terribly reported article. Orlando (1) has already agreed to build a new downtown stadium to house a new Florida MLS team that will join the league in 2015 along with a second team in New York City (2), while Houston's MLS franchise moved into a brand-new stadium built downtown in 2012. British soccer star David Beckham is now drumming up support for a new franchise in Miami (3). The author thinks that the second team in NYC is part of the 4 new franchises and that Atlanta is getting the fourth and final spot. The NYC team will become the 20th MLS franchise; this news came out a long time ago. After that announcement MLS said that they would expand to 24 teams. Orlando, Miami, and Atlanta have basically been locks for a long time. MLS has really wanted to break into the Southeast. The competition is for that 4th and final spot. Thanks for the link though, I needed a good laugh. Thanks for sharing that video! The past few weeks I've been reading more and more on the expansion. I know there was a lot of talk about Austin being in competition with us, but it'd appear that as of yesterday (deadline to submit applications) Austin didn't submit anything. 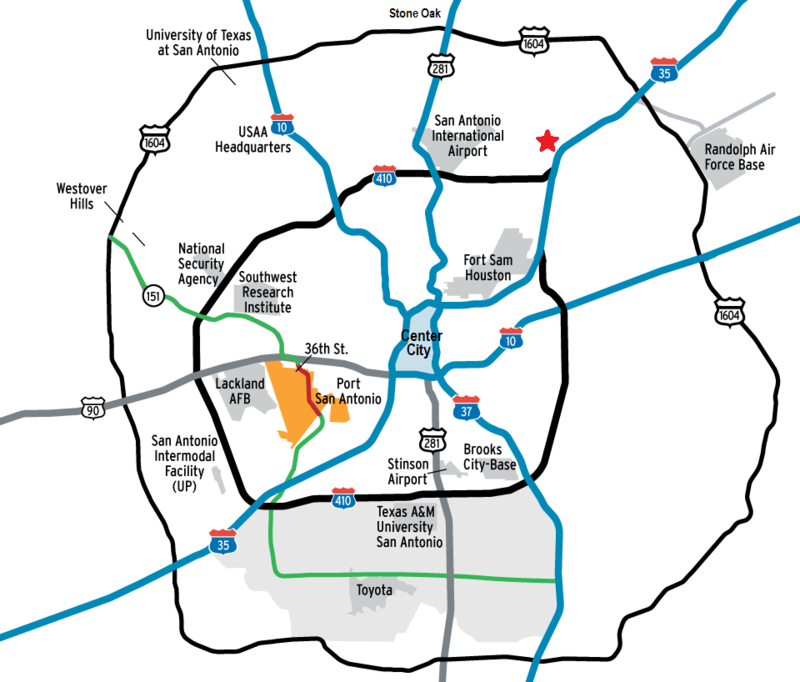 I know SA was trying to sell MLS on the SA/Austin megaregion and also used Austin as an excuse for why the stadium isn't in downtown SA, since the stadium is so close to 35. Anyone have thoughts as to who they think MLS will select? They plan for four, but only announcing two this year from what I've gathered. San Antonio- Having SS&E as the owners is a huge plus, but plans & funding for stadium expansion leaves questions. Phoenix- Not sure Phoenix can get its act together quickly enough for this. I live here and haven't heard much, not like I have SA. San Diego- MLS could consider now that the Chargers have left a big void. Sacramento- From what I've read, they seem to be the most prepared. St. Louis- Same as San Diego, no more Rams, but city seems eager for soccer and has a good location for their stadium. Would also make a good rival for Sporting KC. MLS is big Ponzi scheme. Too poorly run to justify the price for entry. But, as long as it'd SS&E's money, and not publicly financed, I won't gripe too much. This is going to be about media markets and geographic footprint. St Louis is desired by MLS. If they can figure out a stadium, they're in. Sacramento has been told that "it's a matter of when not if" and their stadium is shovel-ready. Cincinnati has 10k season ticket holders and 10 Fortune500 companies to boast. Tampa/St Pete has a downtown stadium and an upgrade/expansion plan in place - and is the largest media market not in MLS. This is a BIG hill to climb for San Antonio. Still possible, but longshot. Really a great look at who we're bidding against...and the page is updated as more of the city profiles are completed. I think San Antonio's chances are pretty good because of the reputable, financially able, ownership group involved.